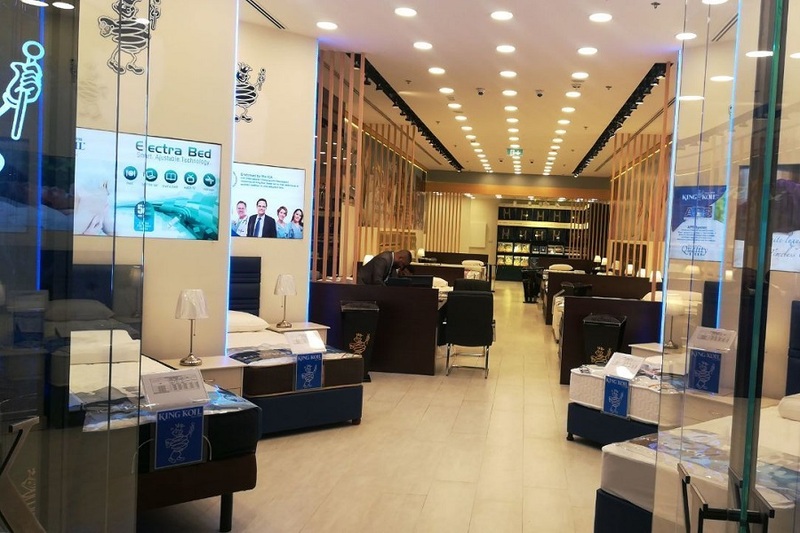 Dubai Furniture Manufacturing Company LLC (DFMC), a market leader in premium mattress segment in the Middle East, continues its regional expansion with the opening of a King Koil premium outlet at the Dubai Festival City Mall. The new showroom is King Koil’s 16th showroom across the UAE and the third showroom located within a shopping mall. Earlier this year DFMC inaugurated its flagship store at Ibn Battuta Mall followed by another showroom at Dubai Outlet Mall in June. In the last six months, DFMC had opened five showrooms with a total investment of more than AED3 million. Additional showrooms are scheduled to open later this year. The showroom in DFC Mall features a stylish and elegant interior with ample space allowing customers to experience the feel of the mattresses. New designs of headboards are also on display giving customers idea of how their beds would look in their bedroom. Leading product lines of the brand are on display including new mattress grades like the Comfort plush and Aero plush, equipped with Smart Cushion Aero System (SCAS) and Bio-Cool Body Balance technology. King Koil introduces the unique SCAS technology which is designed to ensure air flows through the mattress construction resulting to a breathable mattress that gives deep cushioning for additional comfort. The technology is designed for cushioning and air permeability which helps to prevent heat build-up and pressure thus resulting to a cool and comfortable night sleep. The Bio-Cool Body Balance technology developed by King Koil not only provides a cooler surface for sleeping but also helps to relieve stress, rejuvenate and regulate the body's natural biorhythm. This technology uses special natural minerals to improve intra-body communication for a refreshed and balanced body. Aside from the premium mattresses, King Koil’s collection of sleeping accessories ranging from pillows, mattress protectors, bed linens, and toppers are also for sale at the showroom. The King Koil Dubai Festival City Mall is located on the 1st Floor, North, Unit No. C-130. For more information please call the King Koil DFC showroom at +971 4 288 9103 or email dfmc@emirates.net.ae.